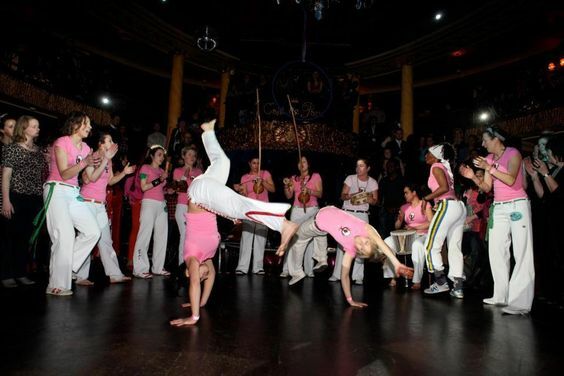 These female Capoeira dancers have great skill and technique. 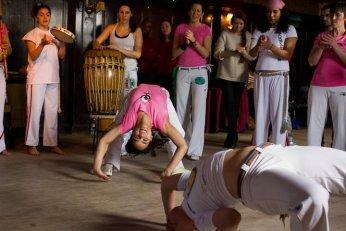 They are great to hire for cultural and corporate events. 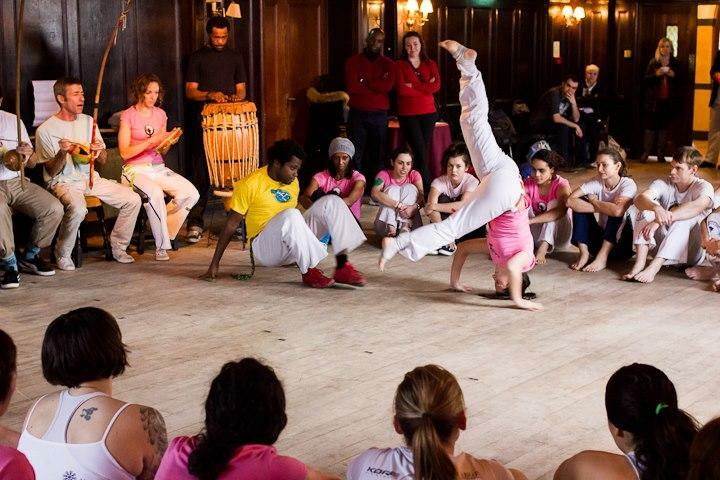 Capoeira is a Brazilian martial art that combines elements of dance and music. It was developed in Brazil mainly by descendants of African slaves with Brazilian native influences, probably beginning in the 16th century. 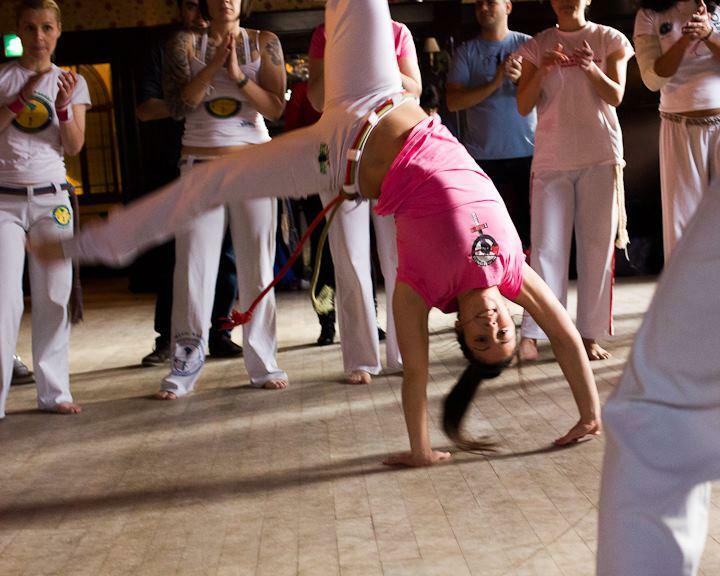 It is known by quick and complex moves, using mainly power, speed, and leverage for leg sweeps. 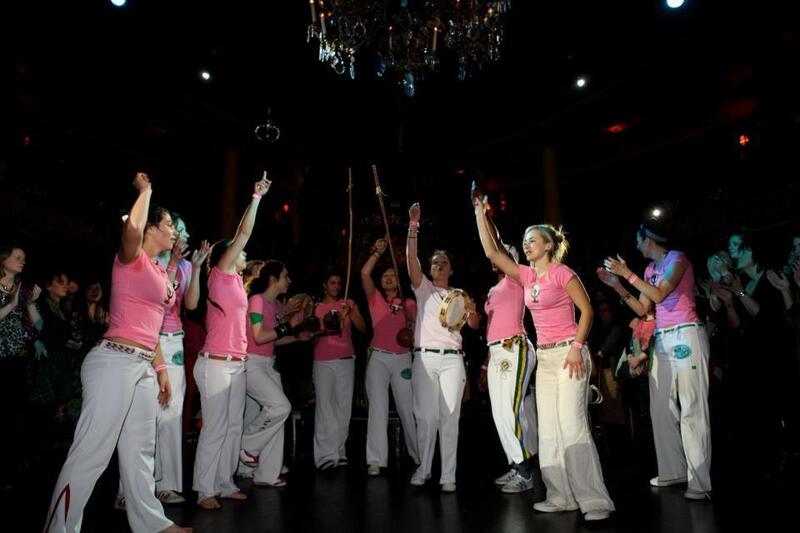 This stunning dance act is perfect as corporate entertainment , but is also available for private parties. 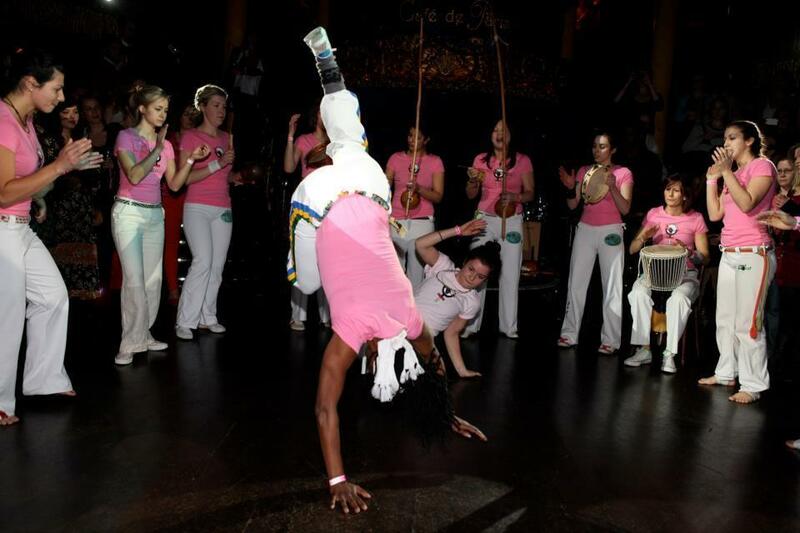 The group consists of 10 girls with high ability in Capoeira, acrobatics and music. This group emerged after some presentations trials with great success and now they have now turn into a group that can be hired for corporate events, parties and much more. The performance lasts for 15 minutes.